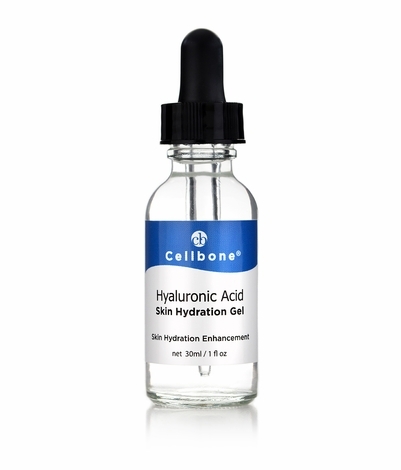 pure Hyaluronic Acid provides hydration and binds moisture to the skin. The pure Hyaluronic Acid gel contains a high potency sodium Hyaluronic acid made from a microbial fermentation. Hyaluronic Acid binds vital moisture to skin to feel supple and smooth. Apply 2 to 3 drops on a clean, dry skin twice daily. Use after Cellbone Vitamin C Serum or Skin Rejuvenation Peel and follow with moisturizer of your choice. Avoid direct contact with the eyes. For external use only. Do not touch a dropper's tip to the skin due to the contamination.